An easy ride for a seasoned traveler that that wants to experience a little-traveled corner of Europe. Welcome to Italy’s wine-rich Friuli region! 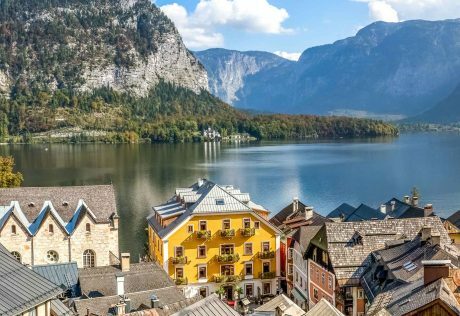 In this little-visited locale, tucked between Slovenia and Austria, you’ll find the cultural imprints of both countries — not to mention some of the most rewarding roads you’ll ever pedal. Over the years, this region was occupied by various European powers and it developed a unique language and culture. While it is unlikely that the Friulano language will survive the next century, the customs and traditions of the land live on. 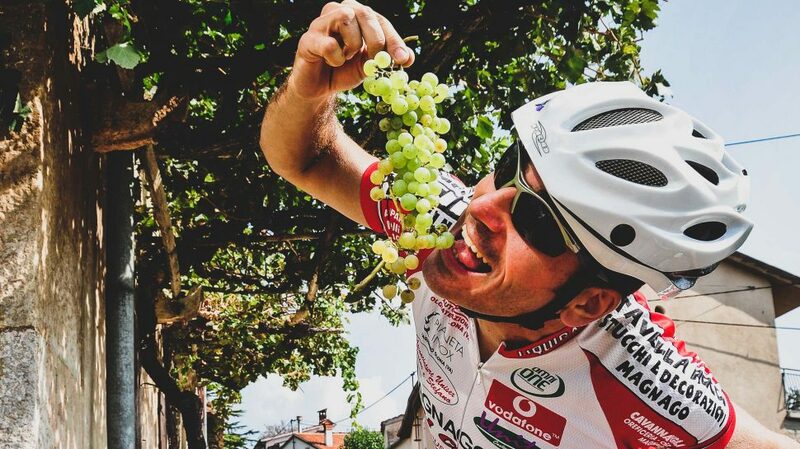 With the Livenza River to the west and the Timaro River to the east, Friuli experiences warm summers and mild winters, a cyclist’s paradise. You’ll bike through the lands that inspired Joyce, Hemingway, Freud, and Rilke, then through lush vineyards of Friuli’s burgeoning wine country (and sample the local vintages, of course), and discover the towns of Gorizia and Cividale. We’ll cross the border to Italy’s northern neighbor to the east, Slovenia, ending in the romantic and charming Ljubljana, a UNESCO World Heritage Site and capital of Slovenia. Don’t miss this exciting opportunity to experience an amazing mixture of Venetian Italian and Austrian/Slavic cultures. It will be a trip of a lifetime! We meet at 12:30 pm in the lobby of our hotel for lunch and greetings, followed by a bike fitting and a spin near the border. We begin our tour in Gorizia, which has a central European flavor and is split into two sides, with the Slovenian side called Nova Gorica. Find out why it was a favorite spot of the Hapsburg nobility in the 19th century, when you experience the mild climate, green parks, and brilliant social life. The 4-star Grand Hotel Entourage was once home to the Court of King Charles X. It has been completely restored and retains all of its majestic features, incorporating them with modern facilities. Each guest room and suite is elegantly decorated, some with antiques. They overlook the square, the rose garden, the grounds, or the castle. Free Wi-Fi access is available throughout the hotel. Pedal towards east and cross the border, discovering a unique and natural environment called “Carso.” According to linguists, the name Carso comes from the root “karra,” a pre-Indo-European word for stone – and stone is the very essence of Carso. The vast limestone outcrops, grottoes, and underground rivers are results of slow water erosion; they constitute an astonishing and unforgettable environment. Today we cross the Italian/ Slovenian border multiple times at the abandoned border crossing posts. The area of Collio and Colli Orientali del Friuli covers part of the province of Udine and stretches across the hills bordering Slovenia. Today we ride to Colli and explore it in greater depth, wheeling between gentle slopes awash in grapevines. Thanks to the region’s succession of hills and plentiful southward-facing slopes, the area named Collio provides the perfect environment for premium quality winemaking- especially white wines– with over 200 makers! Naturally, you’ll have ample opportunities to sample superb wines. Cividale del Friuli was the ancient capital of the Lombard dukedom and the style of the time is still well represented by the typical architecture. Boasting a modern spa and a restaurant, the 4-star Locanda al Castello Wellness Resort offers nine rooms individually decorated in an exclusive and refined manner with individual antique pieces and tasteful décor. Today we’ll cross the border into Slovenia and explore the Soca Valley (Isonzo Valley in Italian). Note how quickly the sights and environment change! The clear, alpine waters of the Soca River, called the Emerald beauty by locals due to the crystal quality of the water, the shadowy routes, and fresh breezes from the nearby Mount Triglav will refresh your senses. This area experienced a lot of military action during World War I, including playing host to 12 different battles between May 1915 and November 1917. We spin along the valley visiting the Slavic town of Kobarid and its famous WWI museum, nestled between the Alps and the Adriatic before arriving in Bovec for the evening. Housed in a historic telephone central office surrounded by green sceneries, the 4-star Hotel Dobra Vila features a wine boutique and airconditioned rooms. This is a day dedicated to enjoying the region. On the Isonzo river you can choose to experience a easy rafting descent, one of the several water sports that Bovec is known for. A local company will provide us with all the equipment necessary to enjoy this experience: wetsuit, boots, life jacket and helmet. In the afternoon you may also choose to hike on the foothills of Mt Canin or simply relax at the hotel. We will also have the opportunity to enjoy an optional loop ride available in the afternoon, which is highly recommended to those of you who wish to further explore the valley of Soca river. The morning begins with a 1 hour shuttle to avoid the climb to the Predil Pass. Our bike ride begins from Kranjska Gora, initially on a beautiful bike path and then, at times, riding through the countryside en route to Bled. This is another beautiful opportunity to enjoy the Triglav National Park and to savor the enchanting atmosphere of one of the most famous and frequently visited places in Slovenia. We finish our day in the charming town of Bled, famous for its lake and tranquil atmosphere. The 4-star Hotel Triglav has exquisite charm arising from its elegant interiors and pleasant location on the lake. All guest rooms have lake views. An indoor pool, Finnish sauna and relaxation and reading room are available to guests, free of charge. Today on out last ride we reach the enchanting Ljubljana, ancient capital of the historical region of Carniola, and currently a UNESCO World Heritage Site and capital of Slovenia. 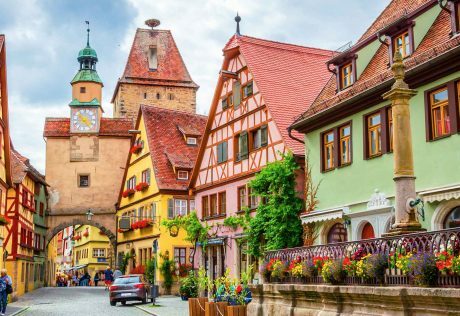 This charming town has been influenced for centuries by its geographic position, at the crossroads of the Slavic, Germanic and Latin cultures. Allow some time before dinner to take a stroll in the old part of town and maybe also visit the castle located in the center and just a few minutes away from our hotel. This is the perfect location to end our fantastic tour across two countries in the middle of Europe, which were once part of the Roman Empire. 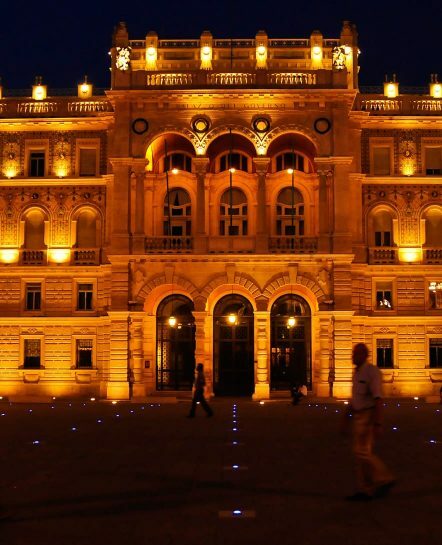 Nestled in the heart of the city center near the historic quarter, the charming 4-star Grand Hotel offers spacious and comfortable rooms housed in a historic Art Nouveau building. An indoor pool and Finnish sauna are available to use.